“Attract more magpies” shouted a recent style column dedicated to men’s jewellery, encouraging chaps to go bold with their jewellery in order to catch the interest of passing acquaintances. You could imagine this column in GQ magazine, possibly Esquire. In fact, it was EasyJet Traveller, the in-flight magazine read by me, you and 7.2 million other people each month, and evidence that the men’s jewellery market may have finally flown into the mainstream. Market figures uphold growth in the sector. 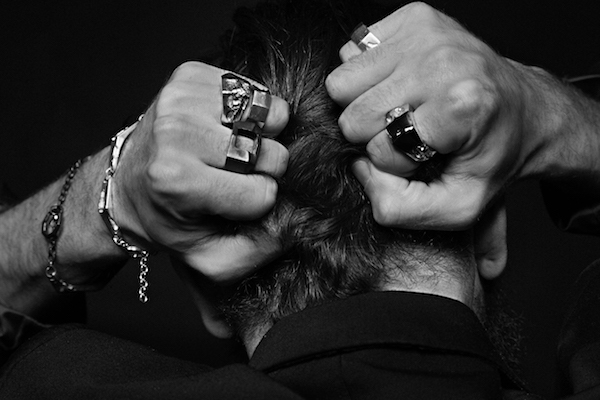 Mintel’s Jewellery Retailing report from September 2015 outlines that one in five men have bought precious metal jewellery for themselves in the past year, “reflecting a growing trend for men to take a greater interest in fashion and their appearance”. Further, 30% of “young, affluent men” aged 16 to 34 have purchased precious jewellery – most often gold – driving the trend for jewellery among their peer group.